With a rich lather and even more of our gentlest cleansers, Dove Deep Moisture Body Wash rinses cleanly and quickly. Our unique blend of cleansers and NutriumMoisture provides skin natural nourishment. Ok, if you're anything like me, you spend so much time caring for the kids that it doesn't leave much time for yourself. This also means rushed showers, hair thrown up in a pony tail, and making little sacrifices for the family. One area I really don't focus on too much for myself are the products I use. I will do a ton of research trying to pick the best and safest lotions, shampoos, soaps, and whatnot for the kids, but when it comes to myself, I usually just grab whatever is cheapest. So, when I recieved my free sample of Dove Deep Moisture Bodywash with NutriumMoisture, I was excited to try something new, especially since I struggle with dry skin. I was very pleasantly surprised with the Dove bodywash because it didn't have that heavy, slimy feeling like other soaps. Plus, it rinsed off pretty easy. When I got out of the shower, my skin looked much better. The dryness wasn't as visible. Although I still needed to apply lotion, the intensiveness of the itchiness wasn't nearly as bad as usual. So, even after 1 shower, I'm convinced and will be making the switch. 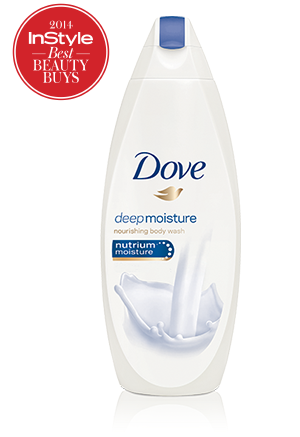 Do yourself a favor and give the Dove Deep Moisture Bodywash a try.